On 6 acres through dense woods with several elevation changes. Dual tees and some cool pin placements. Full service park. Discs available at office. I-44 to Lindbergh Blvd., south to a right on West Watson. Entrance 0.5 mile on left. This is a very short and heavily wooded course, and for that reason it's probably better for children and beginners. Nice park. Cons:Played this course last year. This is a good practice course or if you have the itch to play and don't have a lot of time. Very short and not much of a challenge. 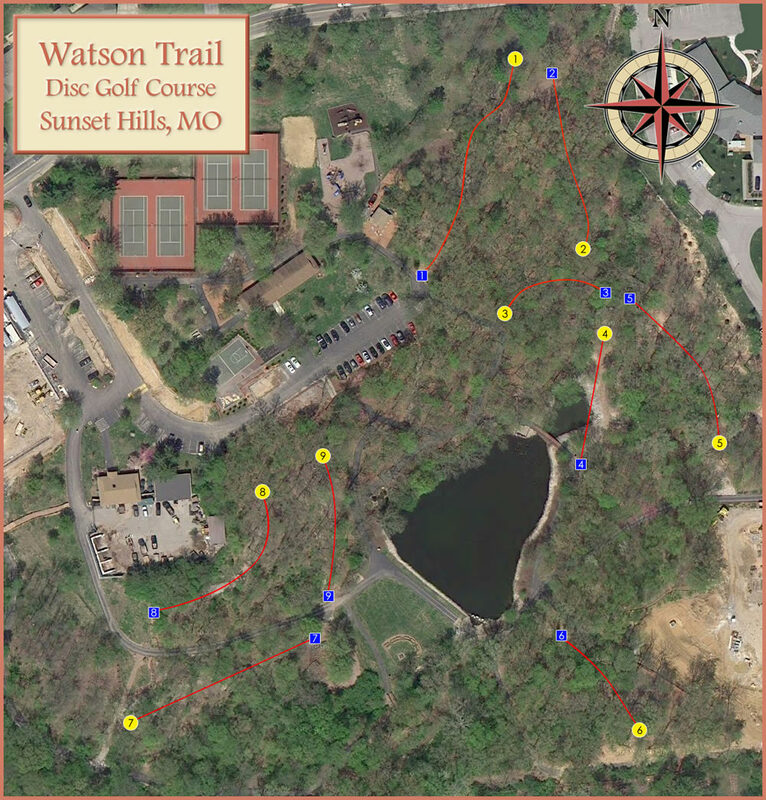 Pros:Good course to introduce youth to the great game of disc golf. I don't play here enough. I think the fact that it is a niner keeps me from getting there too often. Make sure to wear good shoes - the terrain can be a little treacherous. Most of the time you will have the course to yourself.